CALI is proud to announce that it has joined the Free Access to Law Movement, a group of signatories to the Declaration on Free Access to Law. Why has a consortium of law schools joined a group of free legal information providers? Well, several reasons. 1) CALI, through its creation and publication of the Free Law Reporter, is in the Free Legal Information publication business. 2) A free and open legal corpus benefits CALI members, as it will make the creation of legal educational materials – such as CALI’s eLangdell Press – much easier. 3) As a combination of the two, through CALI’s A2J Author project, CALI is both assisting the creation of legal materials such as legal forms – which is a bit of a new frontier in open legal information – as well increasing access to justice for the economically disadvantaged. As with eLangdell, a free and open legal corpus will assist in this endeavor. We look forward to being part of the group and providing any assistance that we can to the movement. 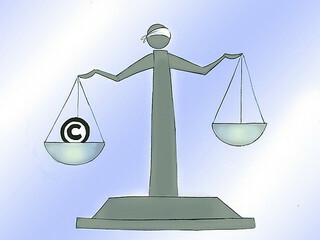 Photo Credit: cali.org via Compfight cc One of the many creative commons licensed images available on the CALI Flickr page.